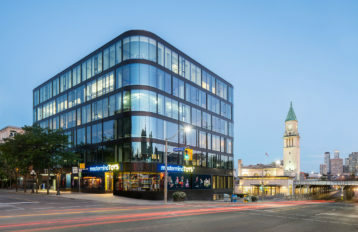 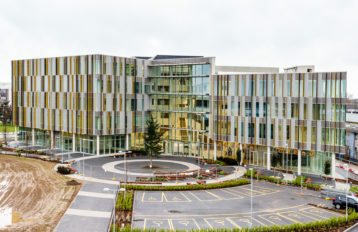 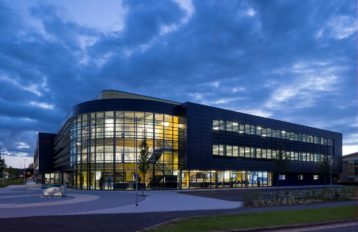 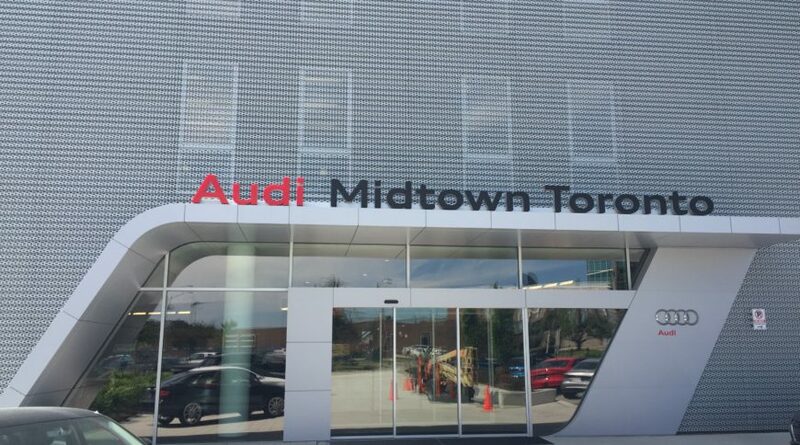 The Audi Midtown dealership is the Canadian flagship ‘terminal’ in the world-wide development of a new image for Audi engineering and customer service. 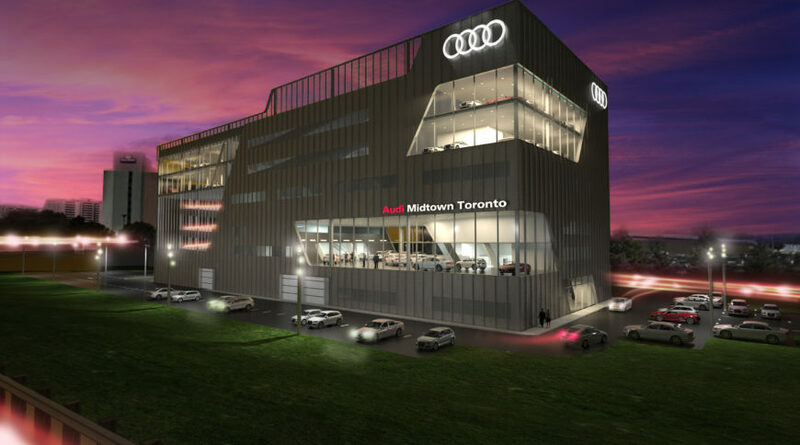 At the intersection of Highway 401 and the Don Valley Parkway/Highway 404, the building will be a prominent icon seen by hundreds of thousands of vehicles each week. 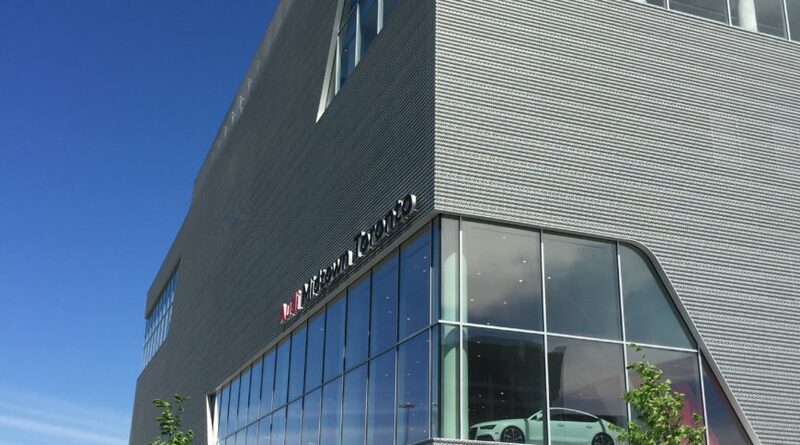 Inner – 10mm Solar Neutral 62/34 Tempered, Heat Soaked Tested. 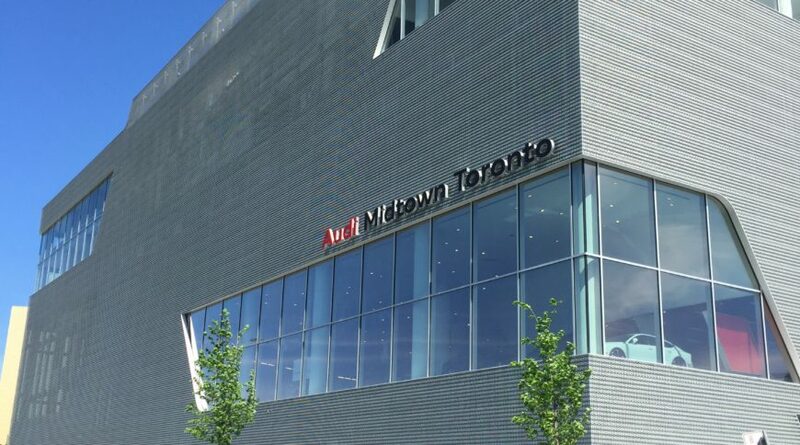 The standard Audi terminal cladding—a custom corrugated, perforated metal profile—is used in combination with curtainwall for the showrooms and several backing elements that create degrees of transparency and opacity for the various program functions, creating a dynamic image for Audi, both day and night, at this significant Toronto location.